As you can see the Nails Inc polish isn’t a pink, it’s more of a cream but it does have a really nice shimmer. This one only took 2 coats where as the rest took 5 or 6. Definitely not something I want to be doing on a regular basis. I’d say the George one has probably won as it’s the most pink but I’m still not happy with it. 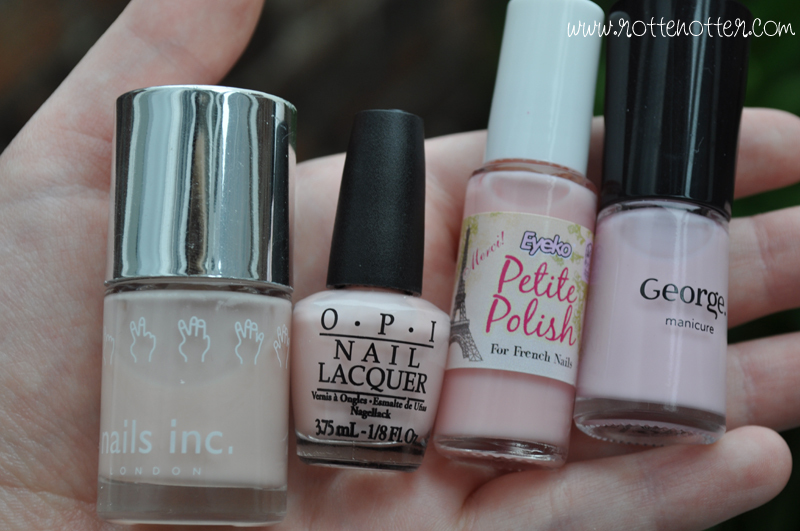 I always find with baby pinks that they never apply bottle colour and are always very sheer. I’m not sure what sort of pink I’m after, I guess I’ll know when I find it but it has to become opaque with only 2 coats. What are your favourite baby pinks? I love baby pink polish too, but I have yet to find one that doesn't apply streaky or take 6 coats to show up. I think most of these are fine when you're going for a french manicure because you don't really want too much color anyway, but when you wear them on their own, most baby pinks seem to majorly fail! My favorite is Essie Ballet Slippers. If not that, then Essie pretty much owns the market on pale pinks. 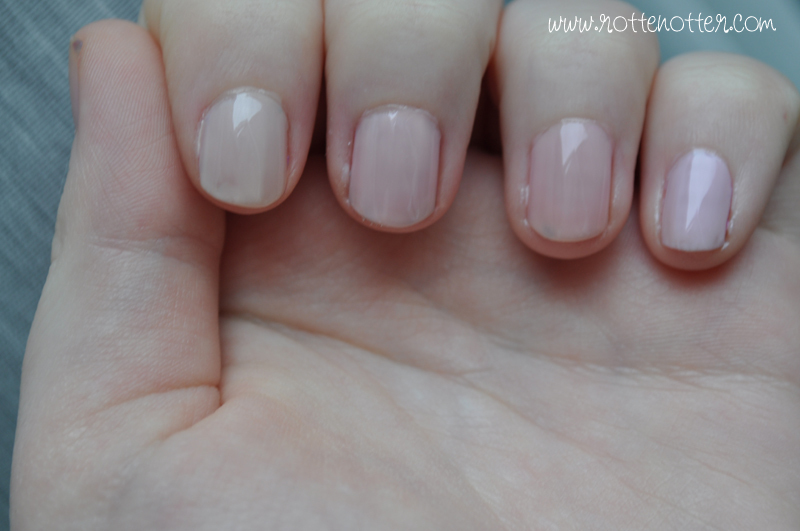 Essie will definitely have you perfect pale pink.